Click on each of the course headings below to view their details. Trip Planning: Using the ‘Avalanche terrain exposure scale’ (ATES), on line web tools, avalanche conditions, weather factors and group skills. 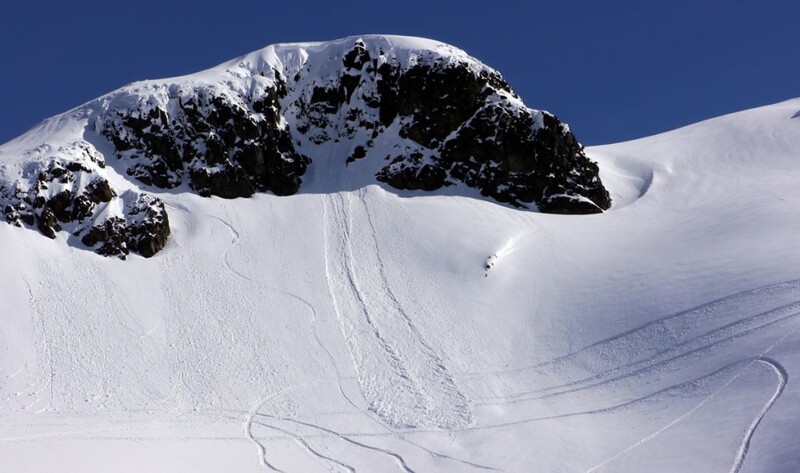 Avalanche Terrain recognition: Slope angle, shape, risks and hazard boundaries. Avalanche ‘Self Rescue’ sequence and escape planning. 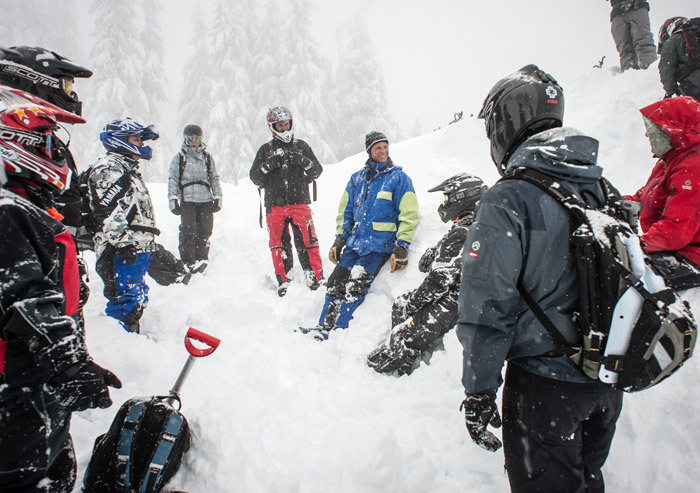 Companion Rescue skills with hands-on practices and multiple burials. 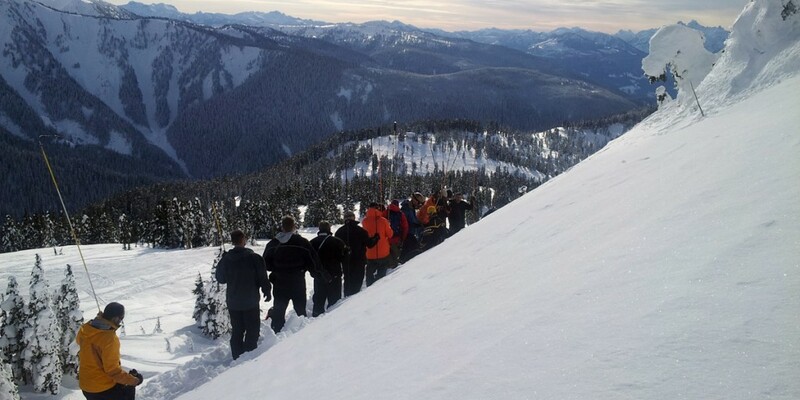 Recognition of hazardous conditions and appropriate slope use decisions using the ‘Avaluator’ and Public Avalanche Bulletins. 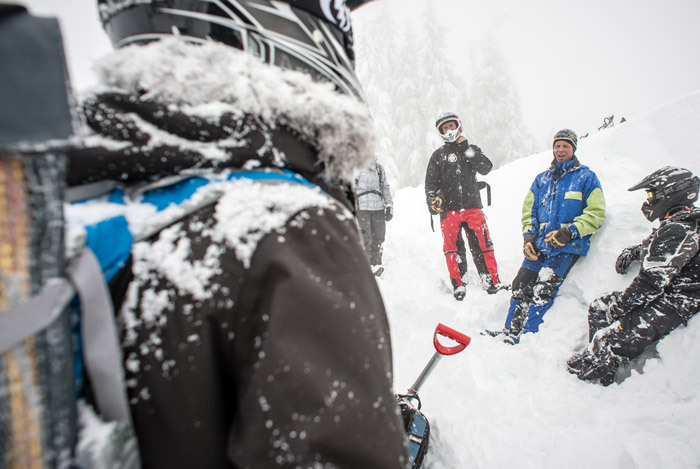 Managing risk in avalanche terrain including Human Factors. ‘Real Time’ Slope and snow layer testing. 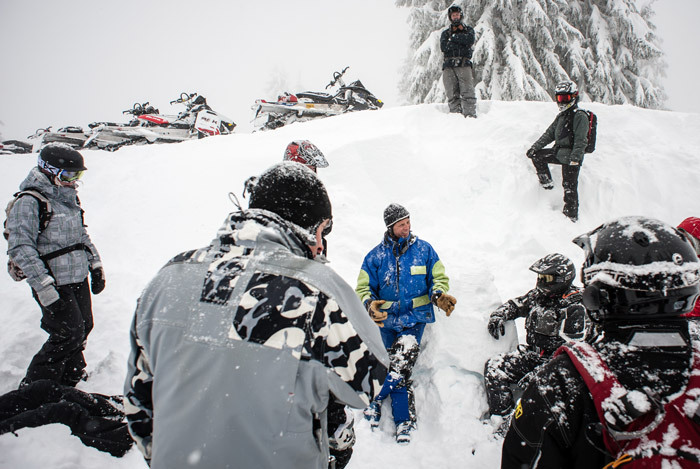 We like to customize each private course to suit your groups’ riding areas and riding habits. 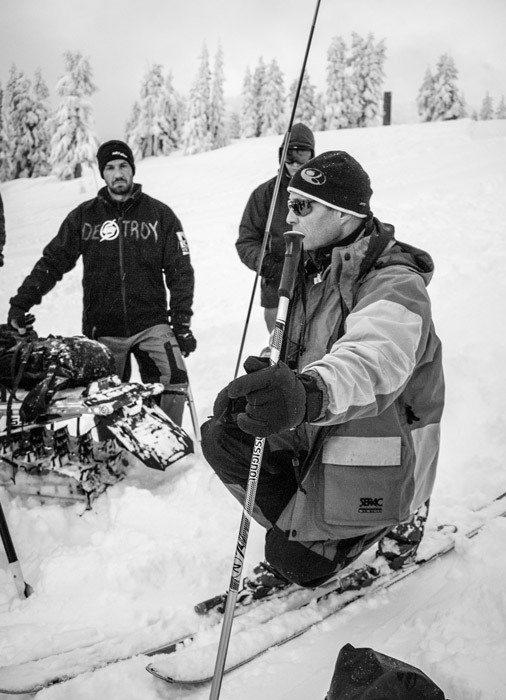 Learn to lead your buddies and make better decisions in avalanche terrain using your advanced observation and assessment skills and the Avaluator system. Trip Planning using Maps, Google Earth On-Line tools and more. Note book recording and introduction to industry standard recording methods makes you a better leader or can be used to prepare for Level One Industry Operations course. Individuals lead, practice and are evaluated on Route finding, group management and risk reduction skills. Your Terrain assessment and critical situational awareness will improve with advanced terminology, field practice and improved navigation skills. 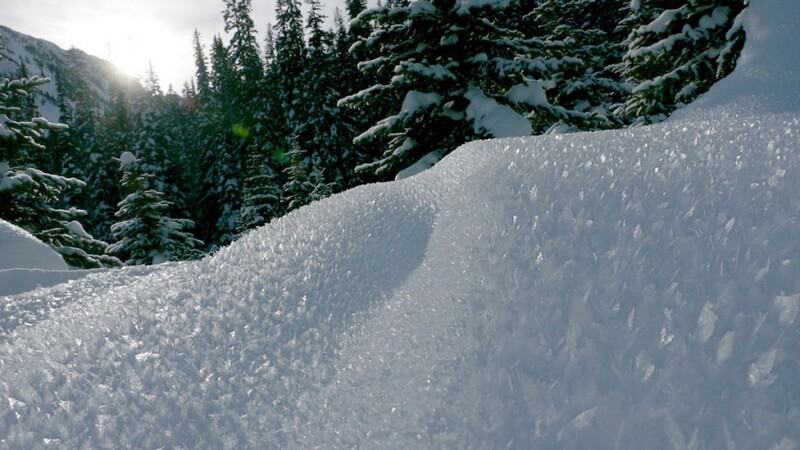 Learn how to read the snowpack and understand seasonal and specific avalanche cycles including how to read a snow profile, weather report and advanced avalanche forecast. Slope testing and more advanced slope use strategies for uphill, downhill and cross slope travel. Snow stability evaluation progression through daily AM/ PM group meetings and on site decision making. 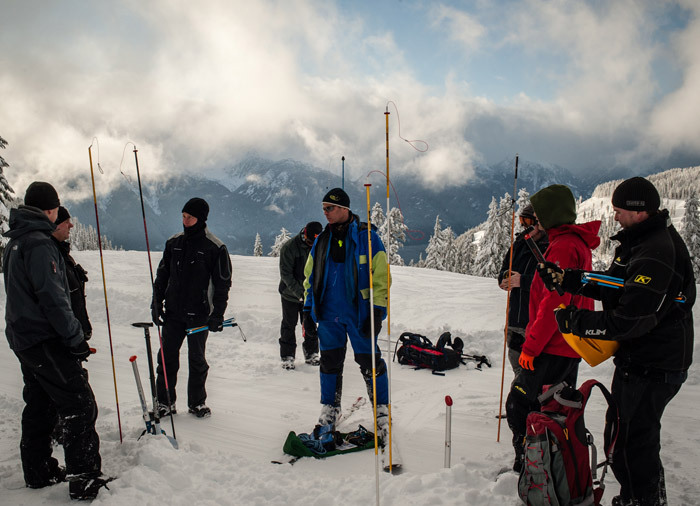 Introduction to basic avalanche forecasting using current and forecasted conditions and visual tools to predict where the hazards will be next. Intermediate decision making framework prompts you and your group to make the safest decision possible. Rescue Leadership and advanced practical beacon probe and shovel skills are learned and practiced. We urge this course for all serious riders within one to two seasons of taking the AST 1: One (1) is not enough! learn key terminology and tune up your rescue skills. Ensure your success in the level One Operations course. Primarily field based and tailored to each student’s skill development needs. Group safety strategies & risk reduction techniques. 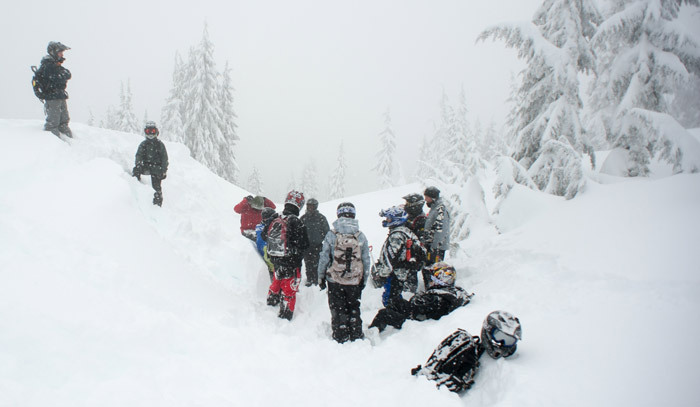 Self-Rescue planning and action sequence if caught in an avalanche. Transceiver skills, testing and multiple burials. Apply search and rescue techniques in mock scenarios including deep burials. Probe lines, Scuff searches, Team shoveling. 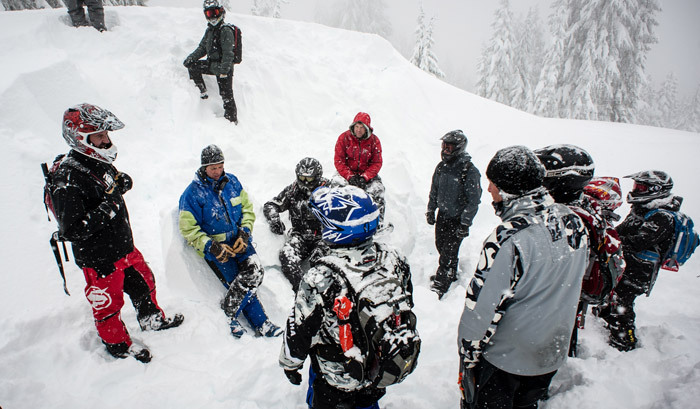 Organize a group rescue and consider Triage. Get er done – in a day! 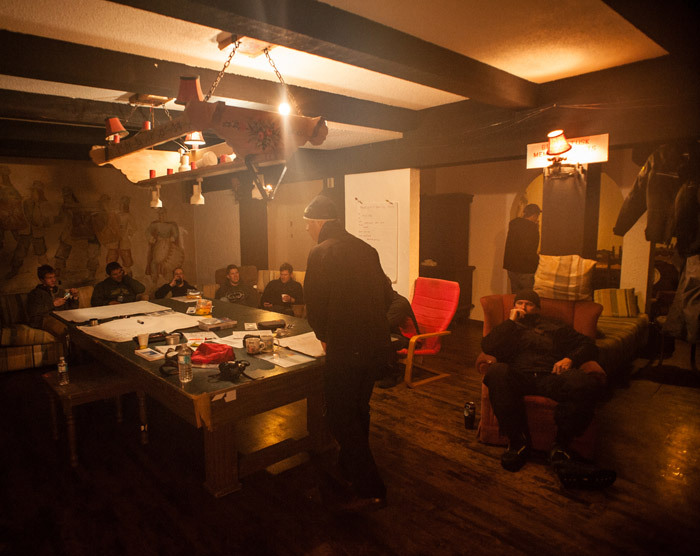 Many clubs like a yearly course with an indoor lecture and a one day field session. Bring more members to the lecture and select riders to the field day. Keep up to date on the latest gear, and important trends. Rescue skills practical and hands on. 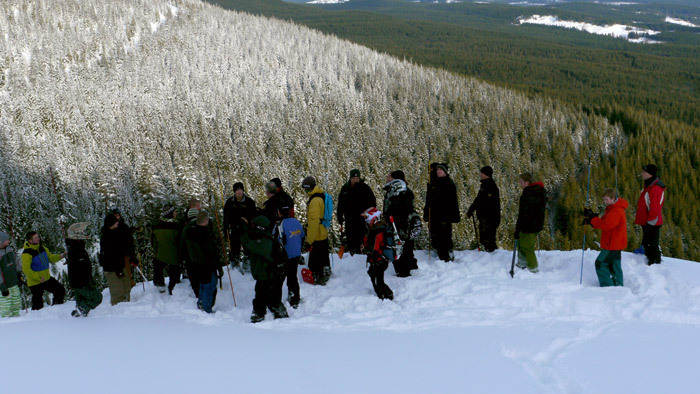 Using avalanche bulletins and other decision support tools. © 2019 Niko Weis Avalanche Education.